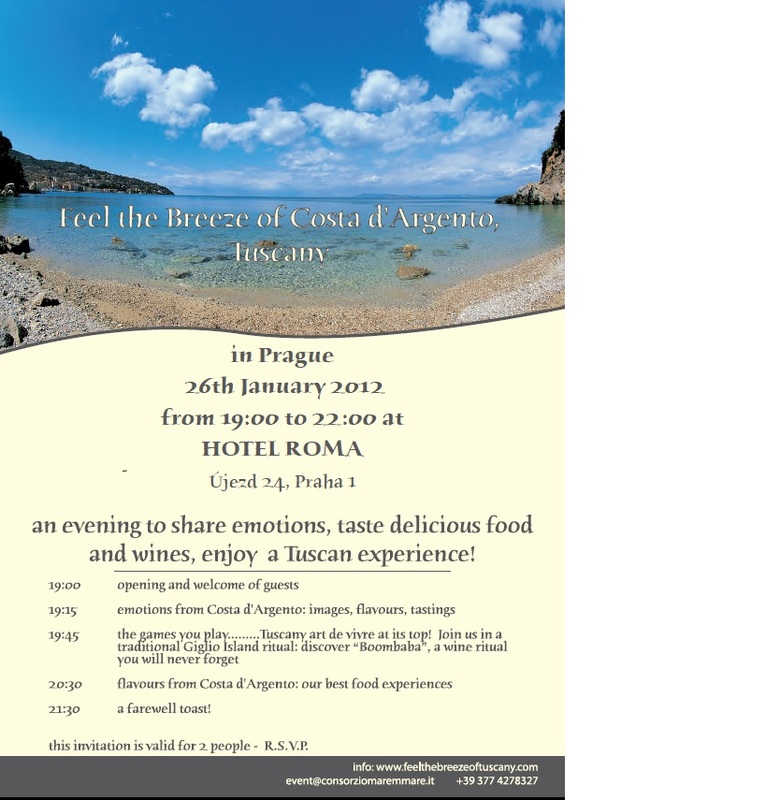 We are pleased to invite you to the presentation of the Costa d’Argento for the city of Bratislava. The event, called Feel The Breeze of Tuscany, is an evening where you will taste Tuscan specialties as well as our award winning wines accompanied by the projection of videos and pictures of our territory and our accommodations. The goal is to make you discover our territory and to give the opportunity to expand it’s tourism market. We would be happy to have you as our guest on November 22th, at 18.30pm, at Hotel Arcadia, Františkánska 424/3, 811 01 Staré Mesto, Slovacchia. 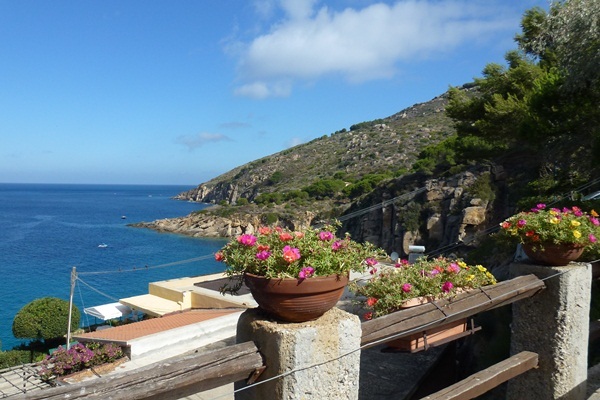 It will also be our pleasure to offer you a trip to the south of Tuscany, where you can live the area. 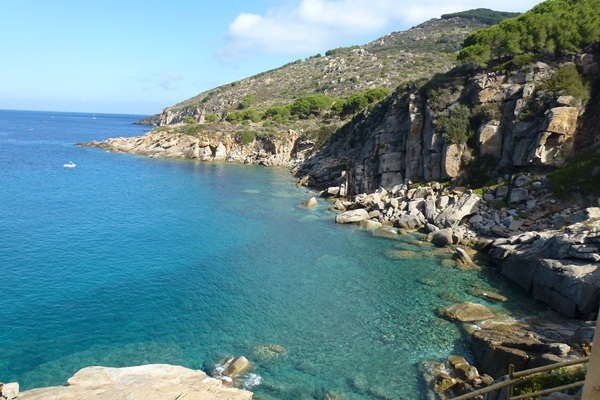 The MAREMMARE Consortium, a consortium of tourism promotion, is an association of tourism entrepreneurs of the Costa d’Argento. We are pleased to invite you to the presentation of theCosta d’Argento for the city of Brno. We would be happy to have you as our guest on November 24th, at 18.30pm, at Barceló Brno Palace, Šilingrovo nám. 265/2, 602 00 Brno-středthe. We are pleased to invite you to the Fam Trip of the Silver Coast reserved for the foreign press. 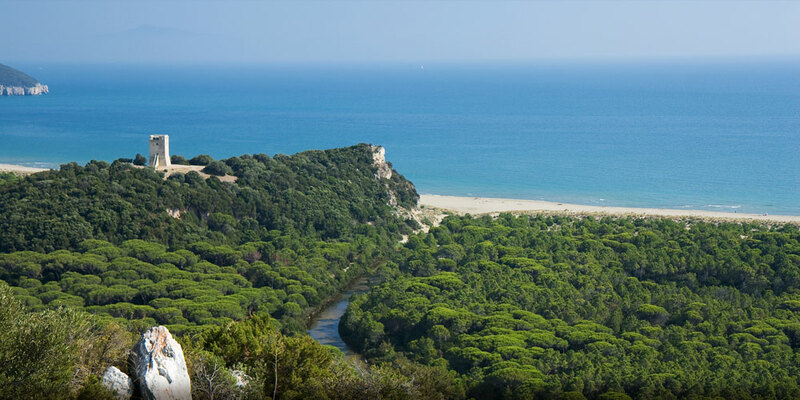 During your stay we will show our territory, our services, and all the activities and opportunities that this stretch of Tuscan coast offers. 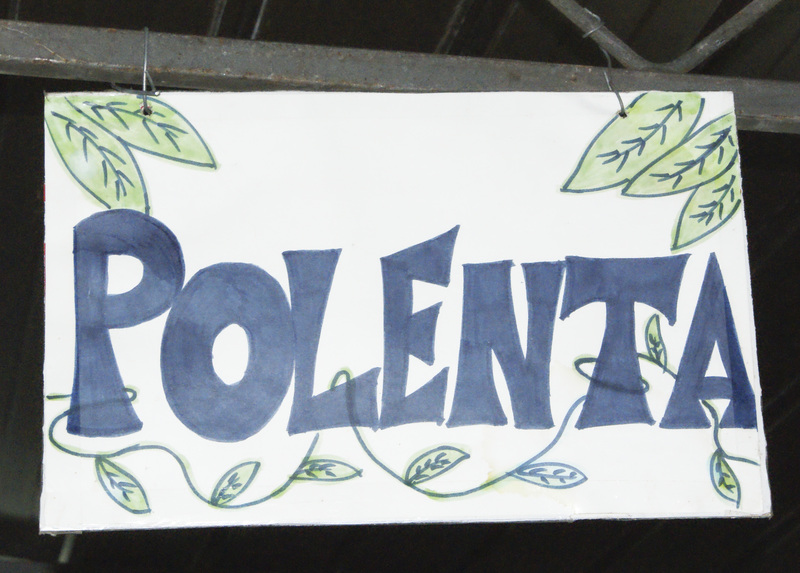 You will taste Tuscan specialties as well as our award winning wines. The goal is to make you discover our region and its magical atmosphere. 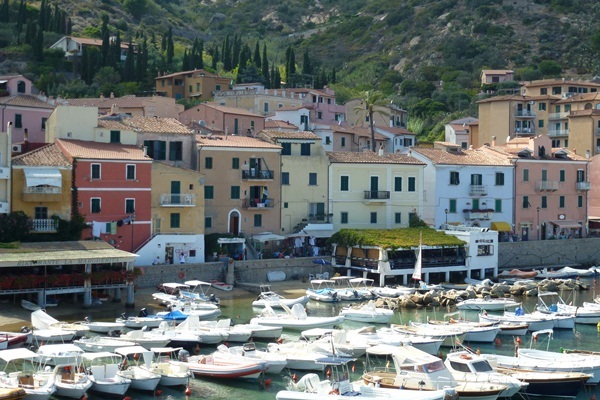 Day visit of Porto Ercole, of Monte Argentario Overview and Spanish fortress. 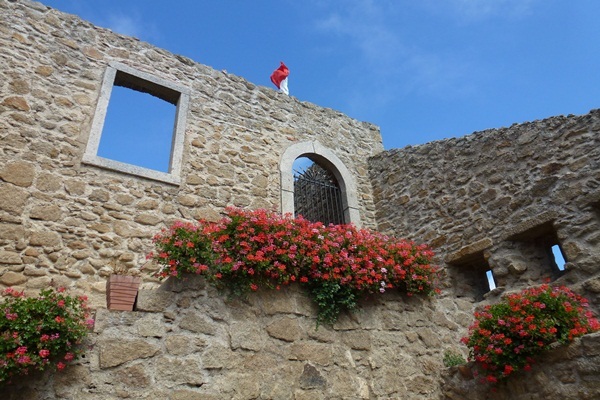 Day dedicated to the visit of Orbetello, Ansedonia and the Ancient City of Cosa, of Telamon and the Rocca Senese. Siamo lieti di invitarla all’Eductour della Costa d’Argento riservato alla stampa estera. L’obbiettivo è quello di farvi scoprire il nostro territorio e le sue magiche atmosfere. 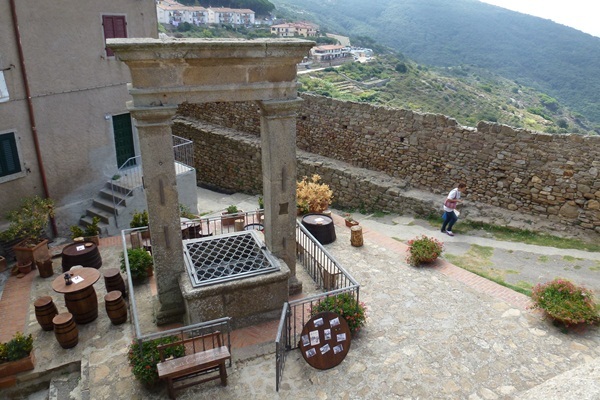 Giornata dedicata alla visita di Orbetello, di Ansedonia e dell’Antica Città di Cosa, di Talamone e della Rocca Senese. 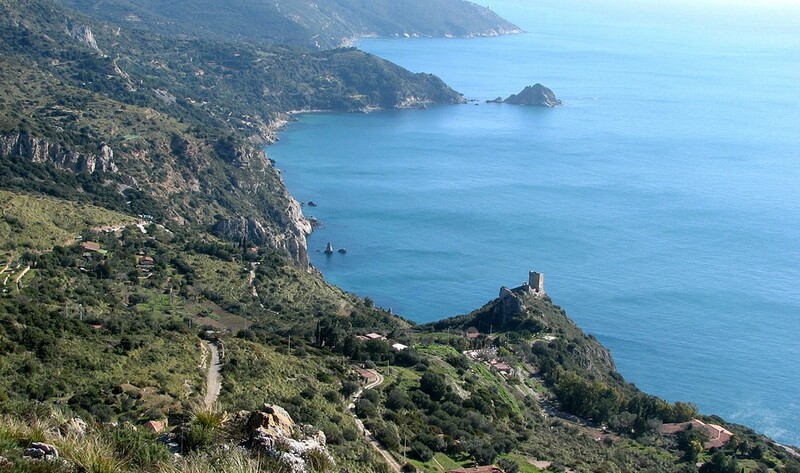 Giornata dedicata alla visita di Porto Ercole, della Panoramica di Monte Argentario e della Rocca Spagnola. Siamo lieti di invitarvi all’Eductour della Costa d’Argento riservato al FIAB. 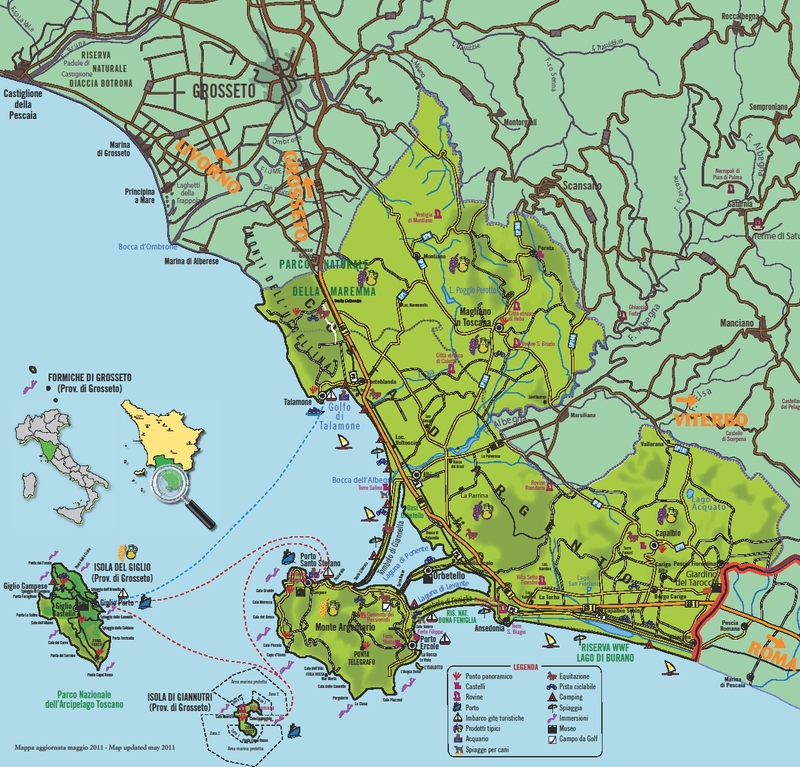 Durante il vostro soggiorno vi mostreremo il nostro territorio, i nostri servizi, i nostri sentieri e paesaggi adatti al trekking e cicloturismo. Inoltre si assaggeranno specialità toscane e si degusteranno i nostri vini. Saremmo felici di avervi come nostri ospiti dal 8 al 12 settembre 2016 (vitto, alloggio ed escursioni tutto a carico nostro). Siamo lieti di invitarvi all’Eductour della Costa d’Argento riservato al CAI. Saremmo felici di avervi come nostri ospiti dal 15 al 19 settembre 2016 (vitto, alloggio ed escursioni tutto a carico nostro). 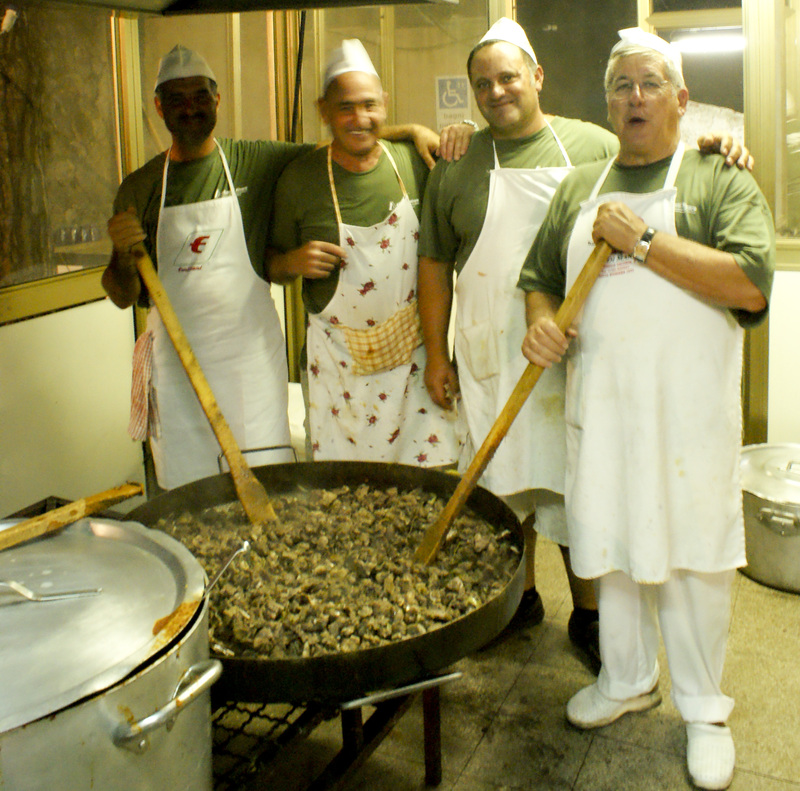 When you think of traditional flavours in the Maremma region in Tuscany, one of the most obvious choices that pop into mind is the wild boar. Or cinghiale, in Italian. At least, that’s what you should be thinking of as of now. 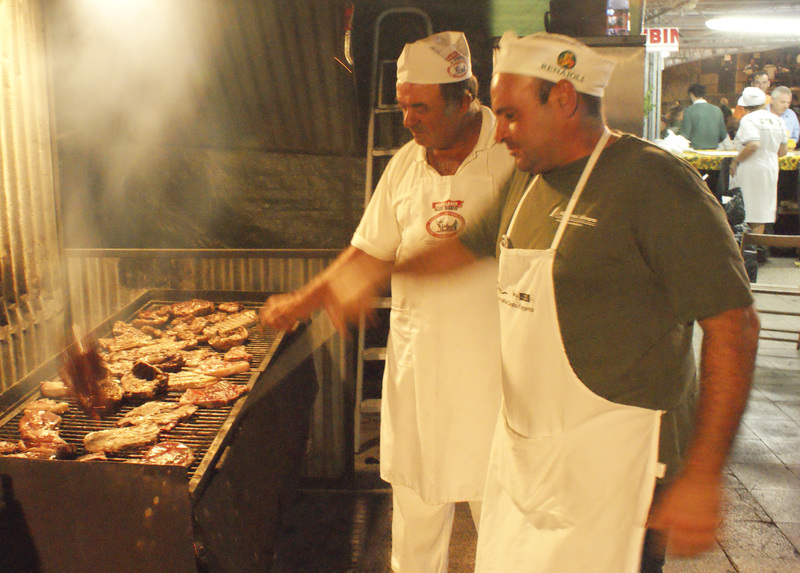 The hunt (and the subsequential consumption) of the wild boar is celebrated with many local festivals (sagra) throughout Italy. 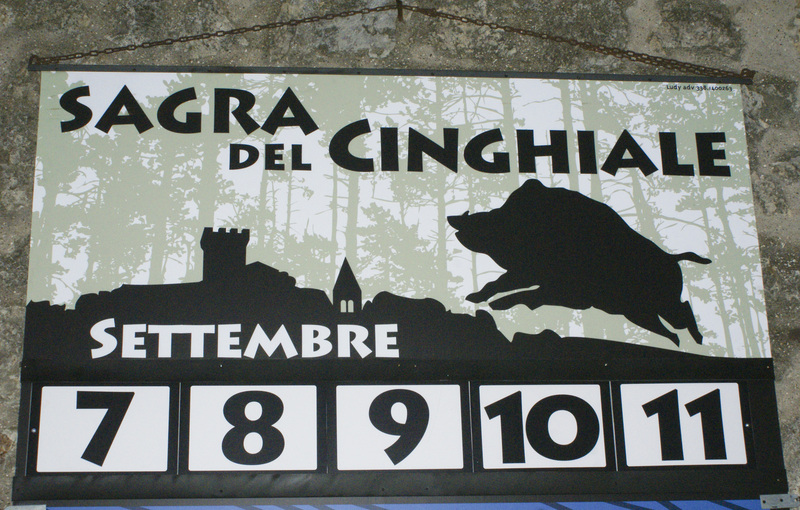 One of those Sagra del Cinghiale is hosted every year in the second week of September in Capalbio. 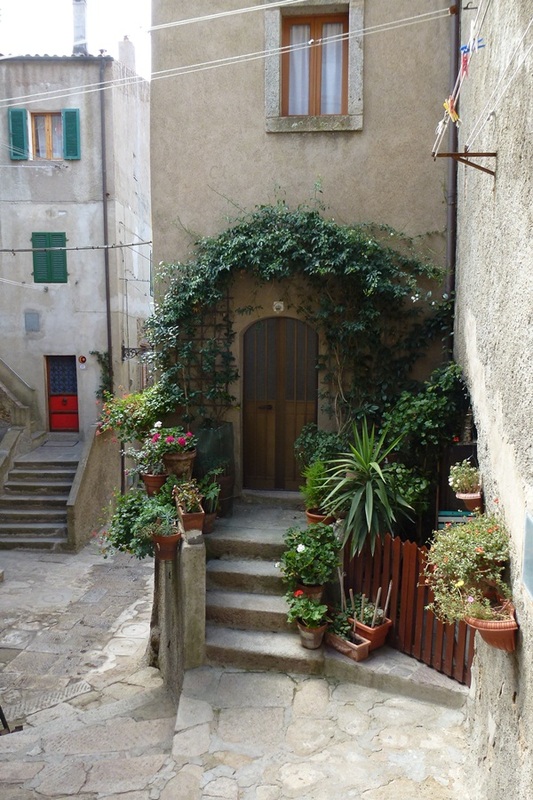 Capalbio is an incredibly charming little fortified town at the Costa d’Argento in the Tuscan Maremma region and definitely worth a visit, even outside the wild boar season. Be warned though, you need some planning ahead since there is only one hotel: Valle de Buttero (serves a great breakfast, by the way, and has wonderful staff). 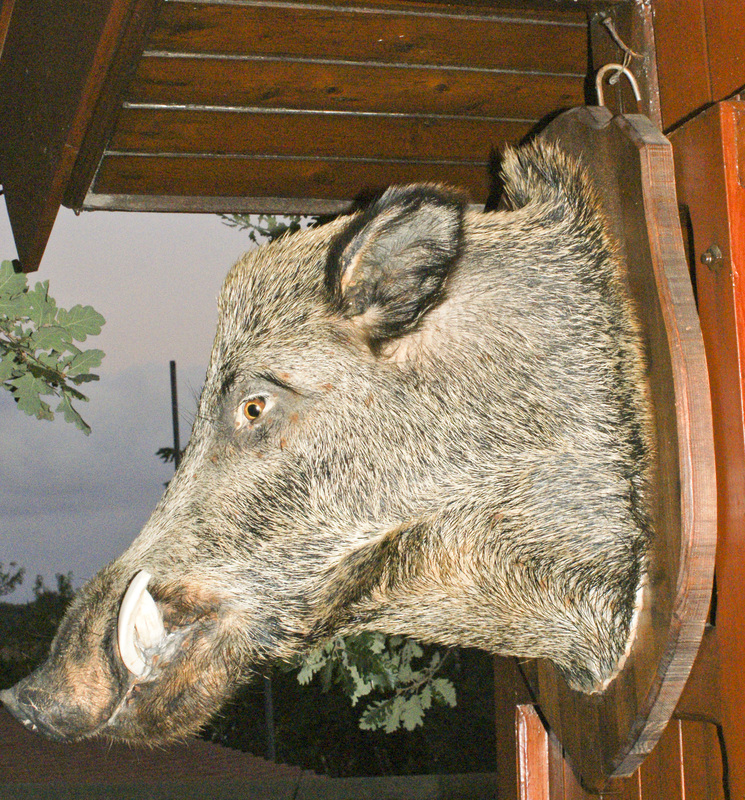 Compared to the rest of Italy, the appearance of wild boars is most common in the Tuscan region. Wild boars living in Italy in general weigh around 80 -100 kilograms, yet in Tuscany wild boars weighing up to 150 kilograms can be found. Only the adult male boars grow tusks. 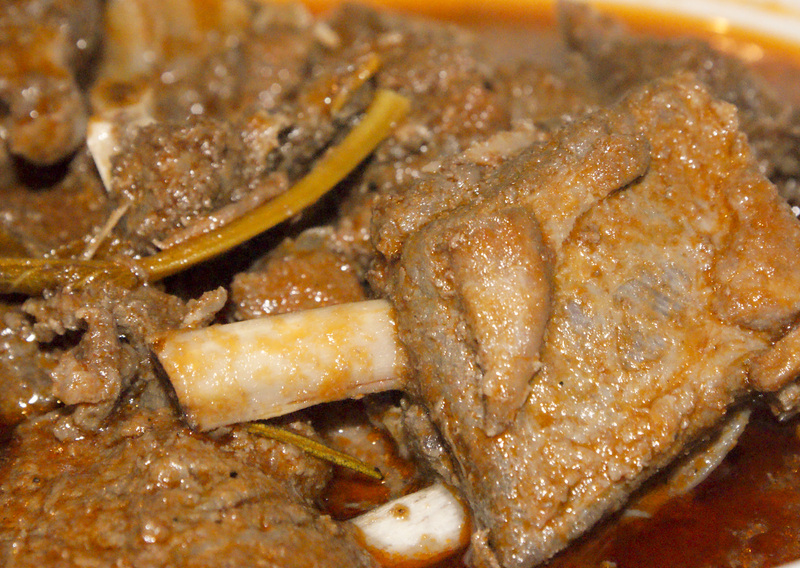 Nowadays hunting wild boars is highly popular, on one hand since they are considered as highly desirable game trophies, on the other hand because the wild boar inflicts significant damage to crops and forests because of their rooting in the search of food. Already in the Roman era, the wild boar was a prestigious prey; at least three Roman legions showed the strong animal in their emblems. 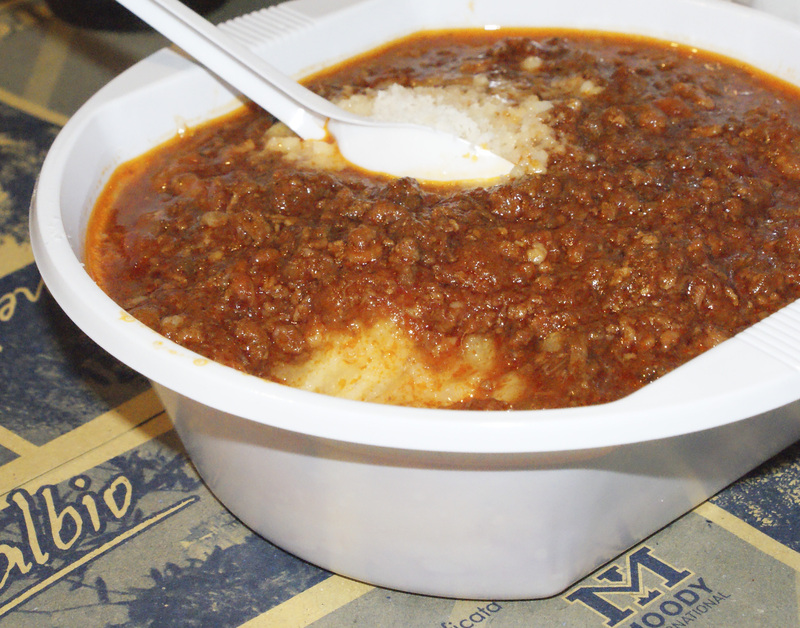 Third option: bowls of creamy polenta covered with steaming minced wild boar sauce (polenta con sugo di cinghiale) and topped with grated parmesan cheese. This sugo del cinghiale dish was kind of a surprise to me; I was keeping my eyes open for the traditional local way to serve sugo di cinghiale: with papardelle, the broad strips of pasta. Polenta as a base tasted great though! And lastly interesting looking sausages - dark and plum, straight of the large charcoal grills in the back. 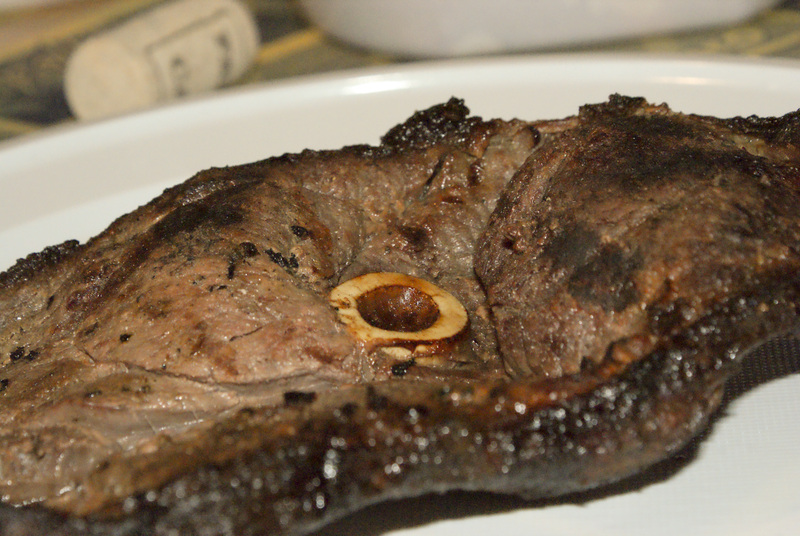 All I can say is: the Maremma people earn two big thumbs up for the way they prepare their wild boar and I can definitely advise you give these traditional local dishes a try yourself during your visit to this region. This article is also posted on www.curious-food-lover.com/blog, the website I run collecting culinary travel tips for curious food lovers all over the world.